Just a random thought about CVTs. We all know beige is bad. And we all know that CVT is the new 'it' for beige (and that's actually a good thing when it comes to economy). But CVT in performance = no bueno. What if we moved CVT technology out of transmissions and placed it elsewhere? Mind you, I have put exactly, zero, mechanical engineering thought into this. 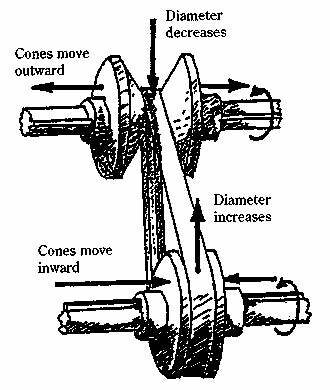 What if we moved CVT technology from the transmission to the ring and pinion axle gear? Imagine being able to have different ratios for different gears. Or being able to set up a 4.10 for a drag race (legally on a drag strip of course) and then lower the ratio to a 3.20 to get better mileage on the drive back home. I am sure there is a way it could be done, but I am not sure of what space or weight limitations this may encounter. Just imagine the possibilities though. Edit for clarification: I realize the current potential of CVTs and the redundancy of this, I also love manual transmission, so this is more of imagine a manual with CVT style axle ratios.